A couple walks into the Sprint store at the Ward Parkway Center in Kansas City. Analysts predict that some jobs will be lost at the retail stores if Sprint's merger with T-Mobile is approved. The executive building on the sprawling Sprint campus in Overland Park, Kansas, used to look like a bank: wood-paneled walls, heavy drapes, elaborate light sconces, lots of offices and a huge board room. "It represents a company formerly known as Sprint," said Tyler Pittenger, Sprint's corporate real estate portfolio manager. The building is the first on campus to undergo a major remodel, and Pittenger said Sprint will now look more like WeWork, the company that provides cool, shared workspaces for tech start-ups. Offices and doors are out, natural light shines in. Cubicles are gone, collaboration is in. "I think space has a lot to say about who you are as a company and about your culture," Pittenger said. "This doesn't represent well who we are today, as a very agile, mobile company." Sprint reports that if it doesn’t merge with rival T-Mobile, in a proposed $26 billion deal, its future is bleak. The company's counted-on merger means the newly remodeled campus would have a new name: the New T-Mobile HQ2, a satellite of T-Mobile's base in Seattle. When Sprint built this campus nearly 20 years ago, the company employed 26,000 people spread over 17 buildings. Now Sprint has just 6,000 employees in Kansas City, who will work in just five of the buildings. 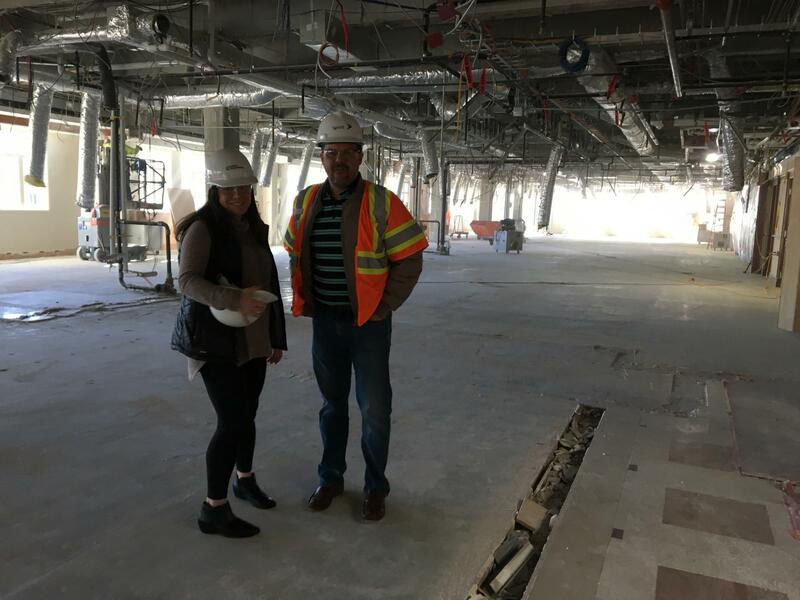 Lisa Belot, a Sprint spokeswoman, and Tyler Pittenger, who manages Sprint's real estate, pose in the executive building now being remodeled on the Sprint campus. Frank Lenk, director of research services for the Mid-America Regional Council, or MARC, said the hope that Sprint would lead the metro into a bright tech future is long gone. "It's been a drag on the economy and the hope of a merger is that it might put a floor on the losses," Lenk said. "Because without a merger it's very likely it will continue to decline and at some point just go out of business." When MARC studied the regional economies of 30 cities of similar sizes, Lenk said, Kansas City did not do well. "Our growth is lagging behind them, and a large part of that can be attributed to the performance of Sprint," he said. "It's been such a key part of our economy." Essentially, Sprint has lost about a thousand jobs a year for 18 years. Rose Kopecky, who was hired in 1998 and is now Sprint's finance manager, said friends have asked her whether she'd leave the company after years of headlines about the many layoffs. "We’ve been through reductions and that's been hard," she said. "That’s been hard." But Kopecky said the company's employees are resilient, and she wants to see what happens with the merger. "It might come with some reductions and it might come with some personal pain," she said. "But I think that the overall bigger picture for the employees that are here, both T-Mobile and Sprint, is going to be better than the alternative." 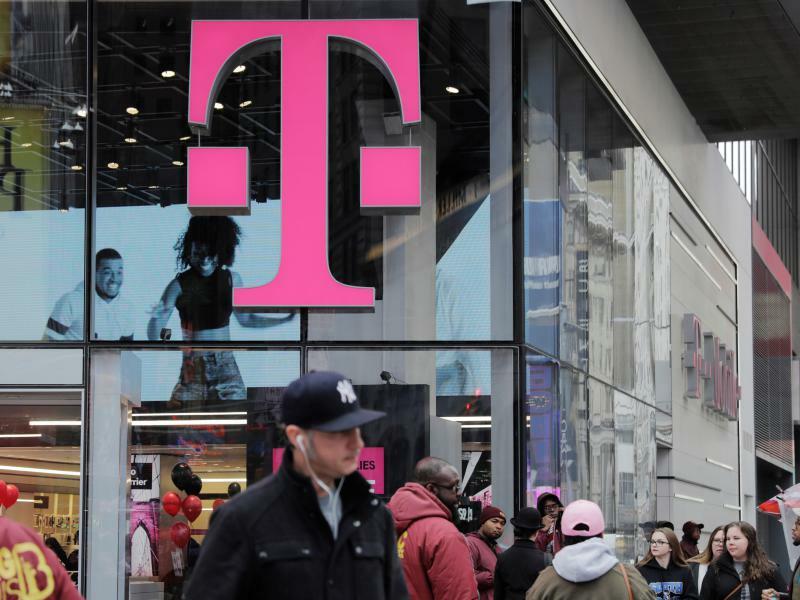 The Sprint-T-Mobile deal is now under review by the Federal Communications Commission and the Department of Justice. Most analysts say the deal is certain to be approved; the OK was expected this spring, but the partial government shutdown has delayed that process. In the past, the U.S. Justice Department refused to approve telecom mergers because they were viewed as limiting competition and creating anti-trust concerns, said Joe Madden, an analyst with Mobile Experts. But Madden said there are new players in the market, which may convince the Justice Department to approve the deal. "We have Verizon, AT&T, T-Mobile and Sprint," Madden said of the four U.S. wireless providers. "But now Comcast and Charter and other cable companies are launching mobile services as well, and those are now considered to be competition." Opposition to the merger has been slow to surface. Although the proposed deal was announced last April, a group calling itself the 4Competition Coalition emerged just last month. The coalition says the deal will reduce wireless competition, raise prices for consumers and kill thousands of jobs. Phillip Berenbroick, of Public Knowledge, a non-profit focused on digital public interest issues and part of the coalition, said the merger would leave consumers with just three "mega carriers" and result in job losses. "With horizontal mergers, the case that the companies are usually making to Wall Street and to others, to really tout the benefits of the deal, is they’re talking about synergies. And synergies usually means that there'll be reducing headcount," he said. In the meantime, Sprint's employees are dealing with what has been the norm: change. Michelle Lizak, who is in charge of recognition and employee engagement at Sprint's human resources department, was hired after the merger with Nextel in 2005. Her office is working to keep up morale of both retail store employees and those still on the Sprint campaus, she said. "The merger is there and it's definitely something that folks are uncertain about," Lizak said, "but they're really more focused on the day-to-day." Peggy Lowe is a reporter for KCUR, Marketplace and APM Reports. She’s on Twitter at @peggyllowe. The Sprint campus in Overland Park, Kansas, was inaugurated in the late 1990s. It's a collegial brick complex surrounded by lawns and trees, and built to house about 14,000 employees. Today, more than 6,000 Sprint workers occupy the company's headquarters, and some of the space is leased to other businesses.